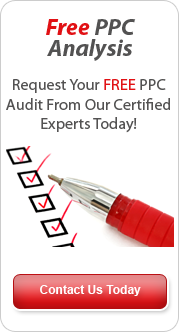 Free £75 AdWords Vouchers – Yes FREE!! That’s right Click Vision Media are giving out FREE £75 AdWords vouchers to all clients that take advantage of any of our Pay Per Click Services before the end of January 2011. Before you turn away and think we are trying to entice you into a lengthy contract or a huge set up cost WAIT. We give our promise that we have a fit for every business that wants to be a part of the multi £billion marketing phenomenon that is AdWords. Over the next 2 months online spends are set to rise over £127 million through Google AdWords. Is you business set up to grasp a piece of that huge budget? Click Vision Media can help your business in a number of ways. We Can………. Set up an AdWords account within a few days and leave you to manage it – This will allow you to get online with a very professionally built campaign from a Google, MSN/Yahoo qualified account manager but then give you the flexibility to run he account in your own time as you see fit. With this we will supply some top tips to avoid wasting budgets etc. Don’t forget we will also assign your Free AdWords Voucher of £75 to this account as a bonus. Set up an Adwords account within a few days and for a very small retainer be on hand 24/7 for advice and management tips without actually taking on the day to day running of your campaigns. Set up an AdWords account within a few days and also take on the management for a fixed fee under a 30 day only contract. This will ultimately take away the pressures of trying to manage budgets and the tricky side to the advertising mix. Set up your Google Places account and an AdWords account within a few days for you to manage. Set up your Google Places, Google Products and Google AdWords accounts within a few days for you to manage or you can take advantage of one of our management structures above. So you see there is a fit for every business this winter but without this exposure you might as well sit back and scoff the mince pies!! Contact Click Vision Media TODAY!! We can help your business’s ROI this Christmas. This entry was posted in Online Marketing, PPC Agency, PPC Company, PPC Start Up Advice and tagged adwords, Free Adwords, Google For Small Business. Bookmark the permalink.